Read about the celebrations of Dera Sacha Sauda foundation day and Jaam-e-Insan Divas. 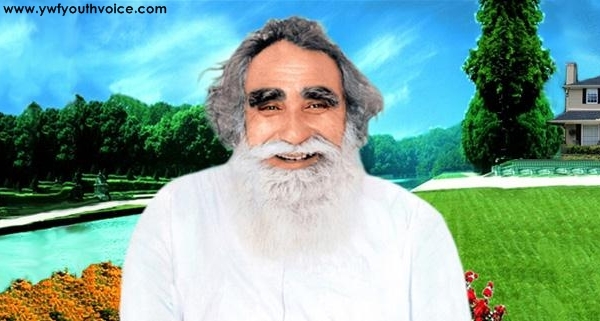 Shah Mastana Balochistani Ji (or Shah Mastana Ji Maharaj, honorifically known as Shehanshah Shah Mastana Balochistani Ji Maharaj) was an Indian Saint and the founder of the socio-spiritual organization Dera Sacha Sauda. Shah Mastana Balochistani Ji was originally from Balochistan, and later moved to Sirsa (modern Haryana). 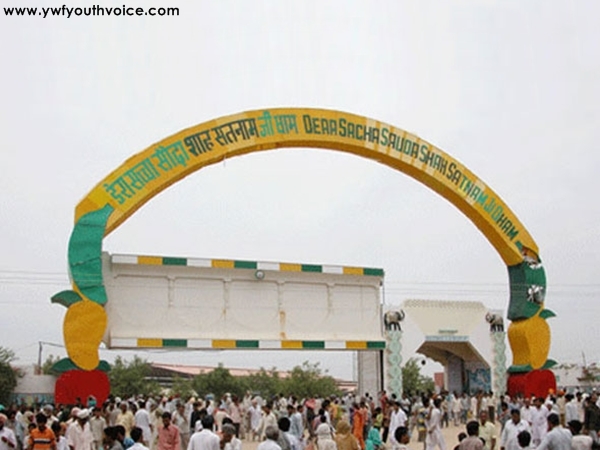 His Satguru Baba Sawan Singh ji assigned Shah Mastana Balochistani Ji, the Holy duty to spread the true love and divine message and propagate the Naam-Shabad in the vicinity of Bagarh (a region of northern Rajasthan and western Harayana), and this was how the Dera Sacha Sauda was founded in Sirsa on 29 April 1948. His Holiness laid the principle of earning wealth through hard work and through honest means only. He also prohibited acceptance of donations or charity of any kind, and coined the Nara (slogan) “Dhan Dhan Satguru Tera Hi Asra", "Praise, Praise be to the True guru, you are the true benefactor". After 59 years of Dera Sacha Sauda Faoundation i.e 29th April 2007, Saint Dr. Gurmeet Ram Rahim Singh Ji Insan (present guru of DSS) took a revolutionary step by starting Jaam-E-Insan to inspire his followers to understandand their duties towards God, Nation and the Society, also pledge to complete these duties. What's Jaam-E-Insan? Well it's just a drink made from milk, water and rose essence. What makes it special? Principles of Jaam-E-Insan. Is it some kind of religion conversion? No but its an affirmation to be true to one’s own religion while recognizing the unity of all religions and the universal religion of Humanity. Want to know more about Jaam-E-Insan and its principles? Click Here. Now you know why 29th April is so special for Dera Sacha Sauda followers, every year it is celebrated in DSS by organizing pious Bhandara (Satsang) along with regular free monthly welfare camps including Health Checkup, Legal Guidance, Cyber Laws Awareness, Medical Camp, Blood Donantion Camp, Career Counselling, Internet Safety and Save The Farmer Camps. Dera Sacha Sauda being the world's largest spiritual organization is famous for their welfare works all around the world, Saint Gurmeet teaches dera followers to work selflessly for the society, it's only because of his motivation that all dera followers celebrate any occasion with welfare activities, their unique way of celebration. There is always a great atmosphere in Sirsa asharam on 29th April, everyone is provided with a one rupee coin from the property of Dera, one rupee may sound little money but when its about giving one rupee to lakhs of people this amount becomes huge. Dera gives this money from their hardwork earning as there is donation system in Dera Sacha Sauda, that coin given during celebration is known as "Khazaane Ka Sikka" and everyone is advised to not to take more than once. Dera followers consider this coin very lucky, some loves it as its a gift from their Guru. Special parsad: mixture of parsad of all religions i.e parsad from Gurudawara, Mandir, Church, GirjaGhar and other holy places is something you can never see anywhere else. Dera celebrations are always unique and are always dedicated to humanity, words can't describe it, you must visit DSS on 29th April to see it for yourself.